The Newhouse School’s Eric Mower Advertising Forum will bring three speakers to campus in October. All events are free and open to the public. Follow on Twitter at #MowerForum. Levy will speak at 6:30 p.m. in the Joyce Hergenhan Auditorium in Newhouse 3. Levy, who has more than 25 years of experience in advertising, branding, integrated communications and event marketing, is responsible for engineering and maintaining creative excellence for all DRAFTFCB Healthcare brands. He has worked on products for Pfizer, Merck, Johnson & Johnson, Novartis, BMS, GSK and many others. Levy’s healthcare work has been honored with medical industry awards from the Effies, Rx Club, MM&M Awards and the Manny Awards. Recently, MM&M Magazine named the Spiriva ‘Elephant’ campaign one of the 10 best direct-to-consumer campaigns ever created. His consumer work has won Clios, One Show Awards and Effies. His work for Canon is part of the permanent collection of the Museum of Modern Art. His “Can You Hear Me Now?” Verizon Wireless campaign slogan was inducted into the Advertising Walk of Fame in 2002. Follow him on Twitter at @richlevydfcb or via his blog at http://richlevydfcb.com. 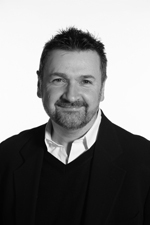 LaMontagne will present “Data is the New Black” at 6:30 p.m. in the Joyce Hergenhan Auditorium. LaMontagne leads MEC’s analytics and insight practice (A&I), which was launched three years ago. Since then, she has tripled the size of the A&I team, developed a suite of cutting edge tools and tripled revenue. She is also responsible for introducing and selling MEC’s A&I service to clients, and has helped grow relationships with companies such as Colgate-Palmolive, IKEA, Energizer and Scotts, among others. In 2012, LaMontagne introduced MEC’s proprietary ROI analytics tool, “Crossmedia,” which compares and optimizes the sales effectiveness of media plans across all paid, owned and earned channels. Recently, she worked on the creation and launch of MEC’s digital attribution modeling platform, CookieCutter, a proprietary data platform designed to cut through cookie-level data to uncover the true value of digital media for marketers. Before joining MEC, LaMontagne had more than 15 years of deep analytics experience with positions at Carat, Yahoo!, BBDO/OMD and Simmons Research. She was named an Adweek “Media All-Star” in 2012. Lun will present “Populist Creativity—the China Way” at 6:30 p.m. in the I-3 Center, 432 Newhouse 3. Lun began her career at Leo Burnett Hong Kong as a copywriter, eventually becoming the agency’s creative director. 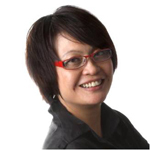 She held positions at Leo Burnett Taiwan, McCann-Erickson Hong Kong, Euro RSCG Hong Kong, miclub.com and Arnold Worldwide China before joining LOWE China in 2006. Lun is one of the most awarded and respected advertising professional in Greater China. She has been named to “top 10” lists of Creative Directors of the Year and Distinguished Advertising Women of the Year, was honored with the Distinguished Alumni Communicators Award by Hong Kong Baptist University and was also the recipient of the New York Festivals Creative Achievement Award. This year, AdAge named her as a Woman to Watch in Advertising in China. She served on the executive jury of New York Festivals, and was the organizer and host of the Cannes Lions forum “Beyond Mad Man: Towards Gender Balance in Creative Roles.” She has chaired and judged at awards shows in greater China, Singapore, Indonesia, Korea, New York, Russia and Canada. She has served on several community boards for the Hong Kong government, and earned the honor of “Mother of Public Service Advertising” in Hong Kong in the 1990s for her active involvement in the cause. For more information about Mower Forum events, contact Karen Greenfield at 315-443-2304 or kegreenf@syr.edu.